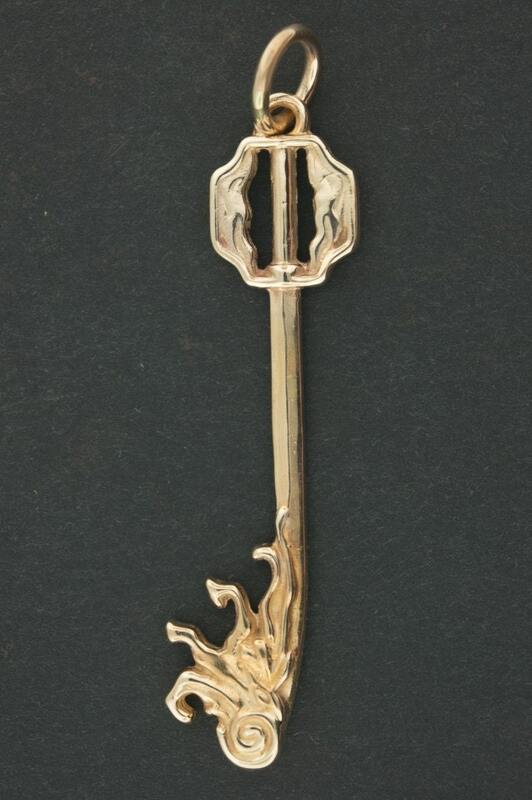 This is a pendant based on the One-Winged Angel Keyblade based on the hit video game Kingdom Hearts, of which I'm a fan of. Made in antique bronze, the pendant measures 6cm long plus the loop and is two sided. The jump ring is a nice size for any size chain or cord. In Kingdom Hearts Final Mix, the One-Winged Angel is a reward for defeating Sephiroth in the Platinum Match. One-Winged Angel is named after the famous battle music played when fighting Sephiroth in the Kingdom Hearts series and the Compilation of Final Fantasy VII.